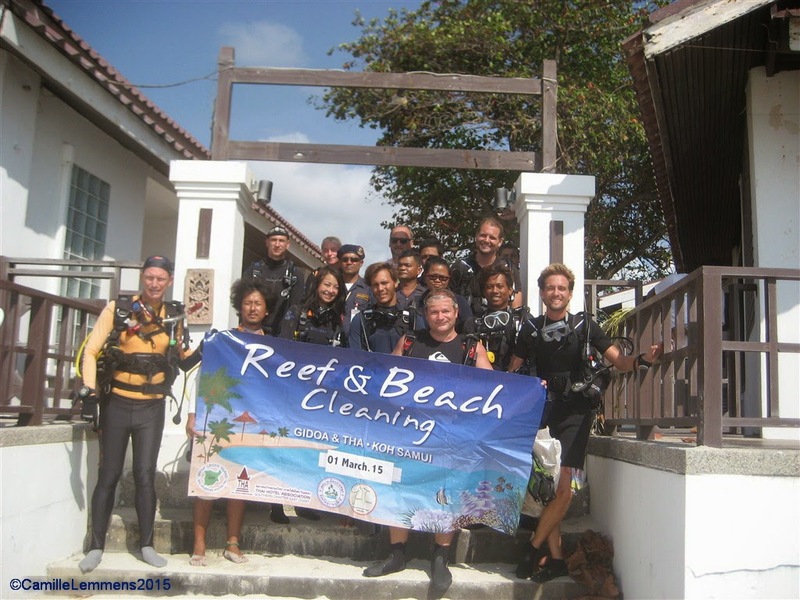 It was time for our bi yearly THA Underwater clean up at Chaweng Beach, sponsored by the Koh Samui branch of the THA or Thai Hotel Association. We had all the whistles and bells, the THA organized a small boat and a garbage collection van with assistance of the Tessabaan or local municipality. Due to me working a lot outside of Koh Samui, I don't get to dive Chaweng beach as much as I used to do and I enjoy every opportunity I get or have. 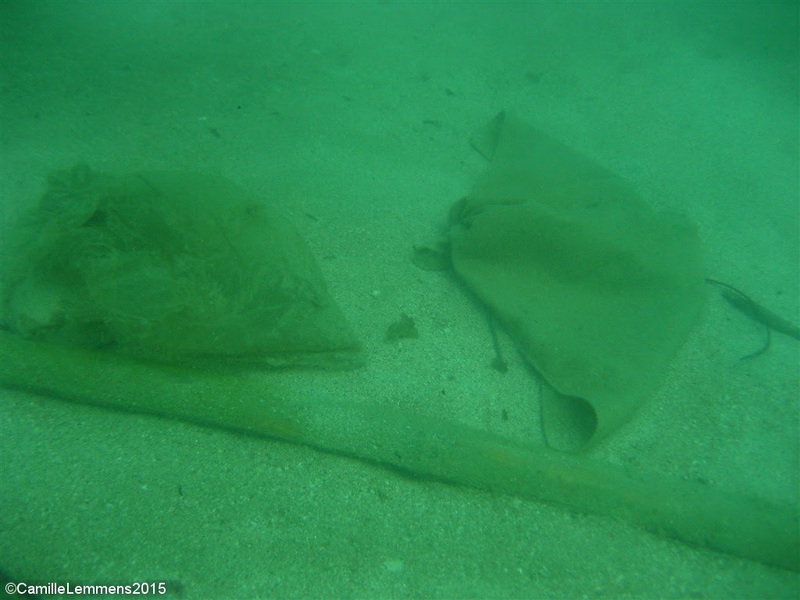 Today the visibility was good for local circumstances but sadly enough, we found heaps of trash, much more compared to some previous clean ups at the exact same location. One great improvement was the small boat from the Tessabaan. 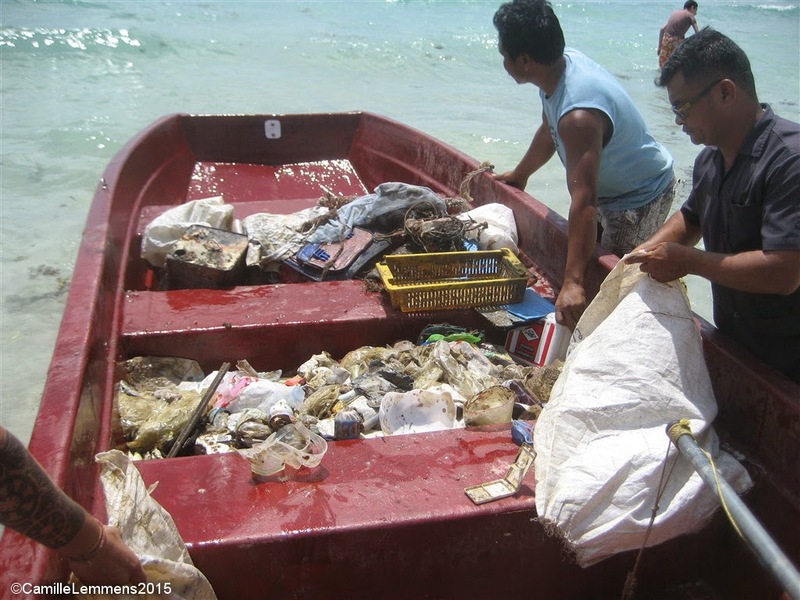 Having this boat around allowed all of us to surface on a regular base and dump our filled to the rim bags into the boat or bring large pieces of trash to the surface, where the boat could collect it. A great improvement over previous clean ups, when we had to leave when our bags were full. Now we could go down again and keep collecting. In total we filled 20 big trash bags, plus numerous other objects. We found over a hundred plastic bags in various sizes, about another hundred plastic and glass bottles, some 30 beverage cans, around 60 caps and lids, 26 pieces of clothing (ranging from shoe, flip flops to hats and t shirts), 35 cups and other assorted small plastic items like spoons, forks and knives. 38 food wrappers, a handful of pull tabs and 20 straws. Lots of plastic remains of fireworks, 17 parts of fishing nets, a light bulb, 2 plastic pallets and 22 pieces of rope, 3 crates and a dozen fishing lines, some cigarette filters and lighters, some 20 sunglasses, 10 or so goggles, 10 dive masks, 6 rice bags, a couple of plastic signs and cotton beach advertisement signs and some beach flags and buoys. Oh yes, and a Go Pro camera in an underwater housing and one of the divers found a 1.000.-THB note! 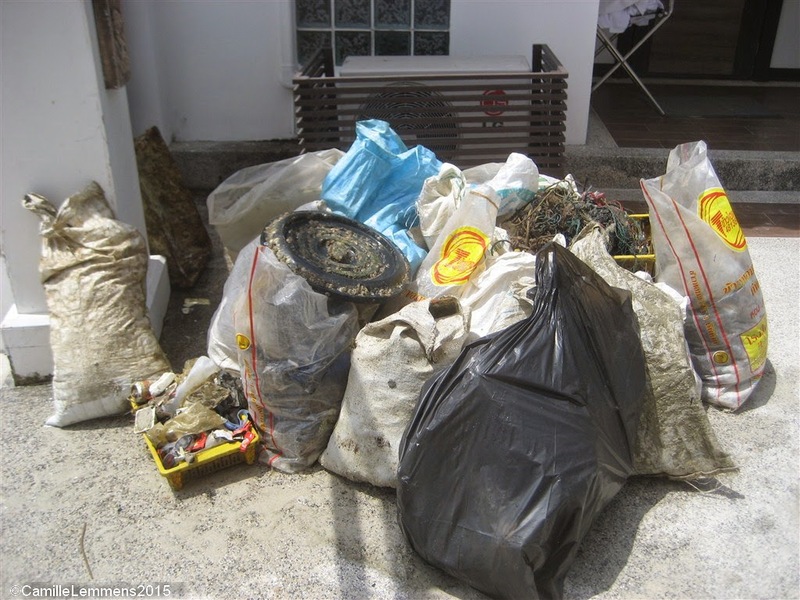 All in all we estimated that we found around 400 kilos of trash this morning and this was unfortunately just the tip of the iceberg! 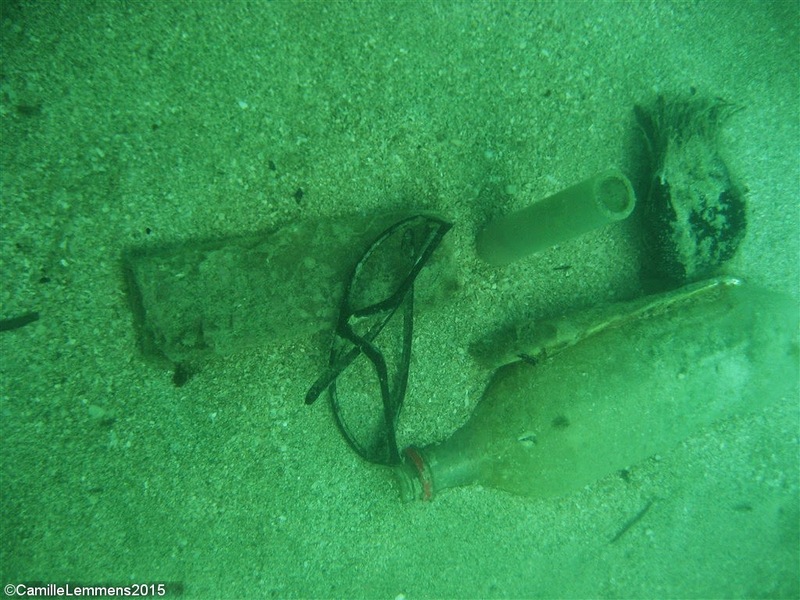 So we can say that unfortunately we had a successful THA Underwater clean up at Chaweng Beach! Thanks for everybody that showed up and helped out! Much appreciated and thanks to the THA for keeping this initiative going and supporting it, Al's Resort for allowing us to have access to the beach and Khun Praesert from the 'Chaweng Calamity Centre' and Chief Engineer at poppies Resort.